Benefits of Carpet over Hardwood | Precise Carpet Cleaning St. Charles Mo. There is many benefits of having carpet in certain areas of the home over hard surfaces. This article addresses one of the biggest which is sound. Carpet will help with keeping your home more quite. Feel free to contact us if you have any questions. As a carpet cleaning company we may be a little bias to carpet over hard surfaces but we do understand that there is certainly a place for hard surfaces and we do clean tile floors too. Some places to use hard surfaces is in the kitchen, bathrooms, and entry ways. There is other places where wood or tile floors will work but there may be a down side to using non carpet surfaces in living areas and in bedrooms. 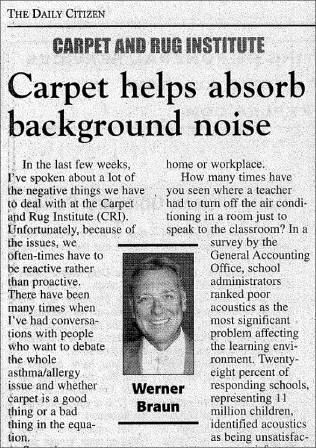 This article has good information in regards to the sound level related to the two types of flooring. 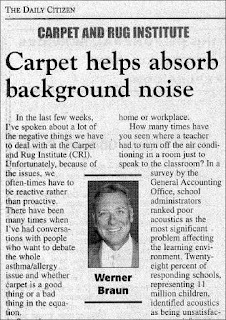 The article then quotes a study that found that students who sit in an uncarpeted classroom miss a good bit of what is being said by the teacher and their fellow students.